New 2016 version of front wishbone with center axis ball anti-roll bar. We moved the front anti-roll bar in the centerline of the wishbone to reduce dynamic droop change during suspension movement. 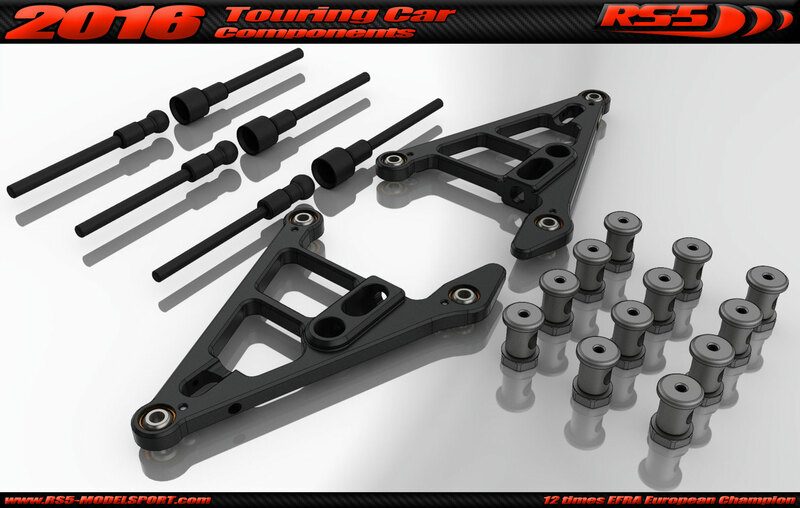 When anti-roll bar mounted on the top of the wishbone (like on the T15 and many other brands car), during suspension movement the left and right side droops are changing and making the car different in left and right hand corners. 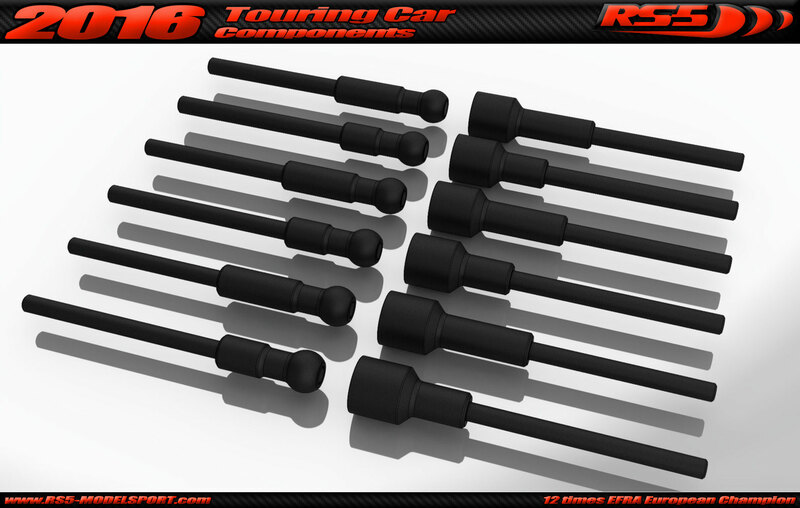 We offer six different hardness of front anti roll bars to provide a wide range of setup possibilities. 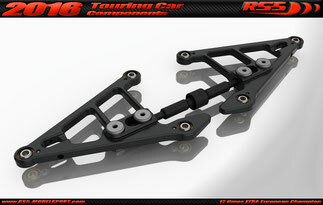 When the anti-roll bar mounted in center line of the wishbone (center of rotation) then the left and right side droops stay equal. 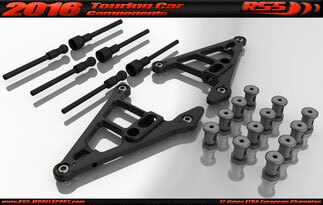 The wishbone made of 7075-T6 alloy and has zero play Steel/Brass hybrid ball joints. 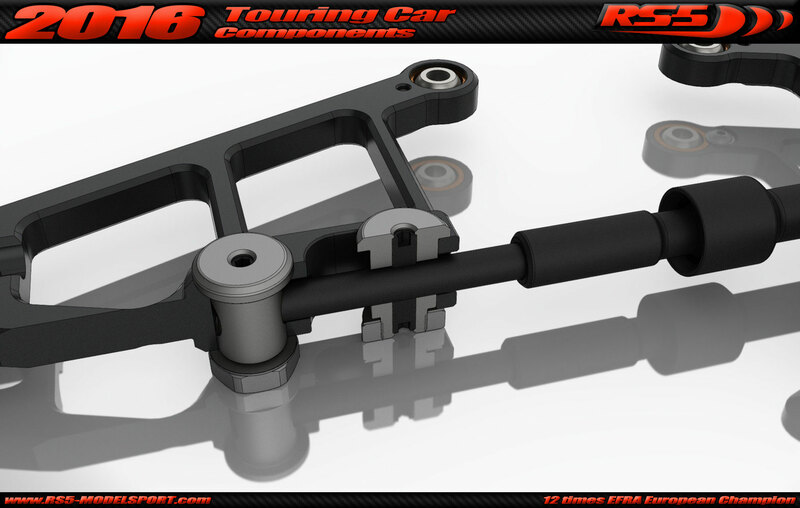 The anti-roll bar stiffness can be adjusted easily by slide in or out its inside holder, our changing the six different hardness anti-roll bars. 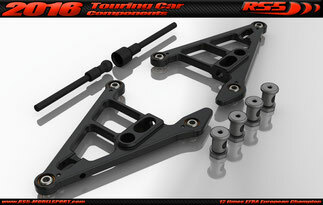 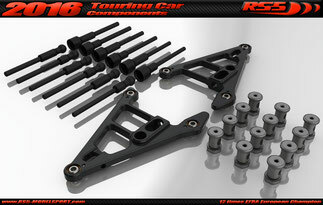 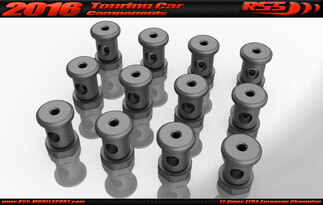 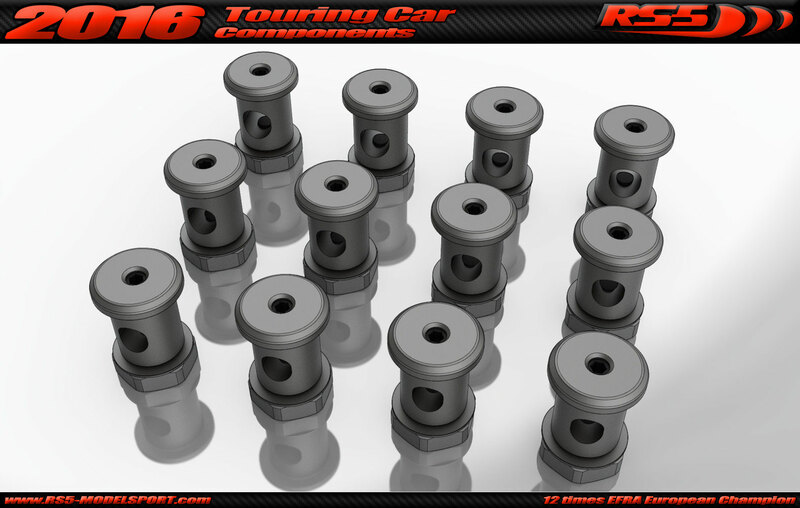 The new front lower wishbone is standard on the T16 and Tx16cars and compatible with the T15 car. We have three different types of Anti-roll bar Mounting for our three different thickness Anti-roll bar (4pz).